Many families like to find ways to enjoy the build up to Christmas. One of these ways is to use an Advent Calendar that counts up the 24 days before Christmas. I remember as a child opening a new window on a paper version to reveal what was behind it. There was great excitement and anticipation. Now there is an Advent Calendar on the internet that can help you build the excitement and joy of Christmas. 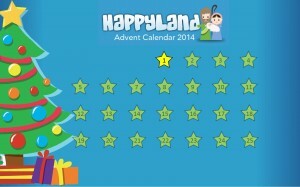 You can click on the Happyland Advent Calendar link from www.happyland.com.au. You’ll find a new surprise under each star and each day a new star will be available to be opened. Some stars will have a video clip, others a recipe, and others an activity or game. You can even enter your email address so that we can send you reminders of the next star to open. It’s not too late to join in the fun so go to www.happyland.com.au and enjoy the build up to Christmas. This entry was posted in Happyland on November 27, 2014 by admin. On Face to Face this week we talk to Tim who was born with Cerebral Palsy, and to Cheryl, who suffered a stroke 18 years ago, at the age of 46. I hope you can listen in to how they cope with the challenges and remain optimistic about life. Click here to listen to the program More Than Able. This entry was posted in Messages of hope on November 24, 2014 by admin. The theme for the 2015 calendar is based on the life of Jesus. There are images of where Jesus travelled and what he did such as being a carpenter. The monthly inspiring bible readings are a insights into who Jesus is for us. The popular layout has been retained. There are large clear date boxes to write in and daily bible references which follow the seasons of the church year. On the inside cover you’ll find the many resources that you can use and share with others. Order your copy online by clicking here. This entry was posted in Lutheran Media on November 22, 2014 by admin. Have you ever felt stuck in the dark, with no way out? Life may be dark because you’ve lost your job, or someone you love. This week on Face to Face Noel Due shares how God does offer us a torch, to find a way through our dark times. This entry was posted in Messages of hope on November 14, 2014 by admin. 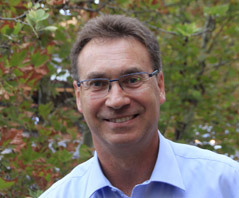 Rev Ben Hentschke, from Ipswich, Queensland, is the new chairperson for the Board for Media Ministry. He has been serving on the Board since the 2013 LCA Convention of Synod. 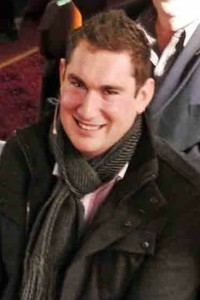 Ben has a keen interest in the use of media to reach out to people in need of the good news of Jesus Christ and is looking forward to chairing this board. We welcome Ben into this new role and look forward to working with him. God bless you Ben in this new role. This entry was posted in Lutheran Media on November 13, 2014 by admin. What exists now that didn’t 100 years ago? It’s an interesting riddle that my daughter asked me one day. It can have many different answers. Please join Rev Richard Fox this week as he works through this riddle and what it might mean for our lives. The riddle may be deeper than what you first think. So what exists now that didn’t 100 years ago? This entry was posted in Messages of hope on November 8, 2014 by admin. Recently, Ian Liddell, the Chairperson of Lutheran Media, resigned. This was due to personal reasons and the Board, Staff, and volunteers thank him for his service and guidance over many years. Ian served as the Chairperson of Lutheran Media for more than 7 years and has left it in a healthy position. All the best Ian and God bless you and your wife, Tanya. This entry was posted in Lutheran Media on November 3, 2014 by admin. "Time can be used or wasted, it can be invested or squandered, but either way, once used, it can never be regained." Do you feel like you never have enough time? Or perhaps you wish you used some of your time differently? One sure thing about time is once it's gone you can't get it back. So how do we deal with that? On Face to Face this week Mark Doecke will be talking about time, and there is an offer of a free booklet about managing time better. Click here to listen now. This entry was posted in Messages of hope on November 1, 2014 by admin.